I have not decided on the flavour for this year yet, so it will be a surprise for the winners in question. I will select 5 winners who I will send the candy to, and you may live anywhere in the world. Either use the gleam widget below and perform each action – IF, for example you already like Elegantly Vegan on Facebook, you already have the number of entries specified with that action. Or you can sign-up for the monthly Elegantly Vegan recipe and lifestyle newsletter – you can find it here and sign-up. Everyone who signs-up during November enters the competition as well. The competition closes on November 30th, 23:00 CET. By entering the competition you agree to adhere to the competition rules stated below. Click here to enter the competition or use the widget below. If you cannot view the entire entry list in the widget above, click here to view it in a separate window. The competition is open to anyone anywhere in the world (international). The prize is sent by post to you. You may enter by performing more than one action in the list above or by signing up for the monthly newsletter. Elegantly Vegan is not liable for any lost packages sent through mail. Each prize is sent by normal postage, and the postal service is liable for any lost packages. Elegantly Vegan is not liable for any lost packages. Five winners will be selected from the entries and contacted by email and your home address will be requested to be emailed over to me. If the winner do not respond within a specified timeframe in the winner notification email another winner will be selected. Same rules applies to the newly selected winner, so please check your emails after the 30th November. 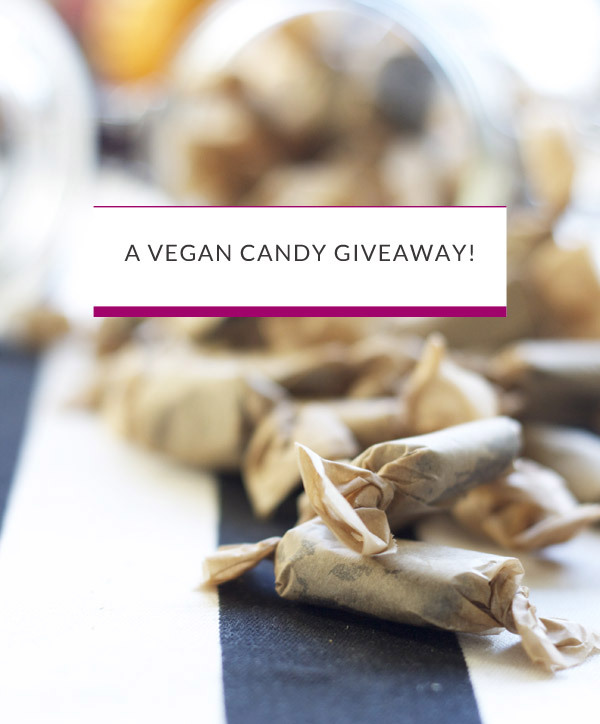 By entering this competition and if you win, you responsible to read the label of the candy to ensure that it does not contain any ingredients that you may be allergic to.